The case of Alina López Miyares runs into Cuba's policy of considering anyone born in Cuba to be a Cuban national once they step foot on the island. MIAMI BEACH, Fla. — The family and attorney of a Cuban-American citizen who is in a Cuban prison after being sentenced to 13 years for alleged espionage are asking the country's authorities to allow the woman to receive U.S. consular and attorney visits. 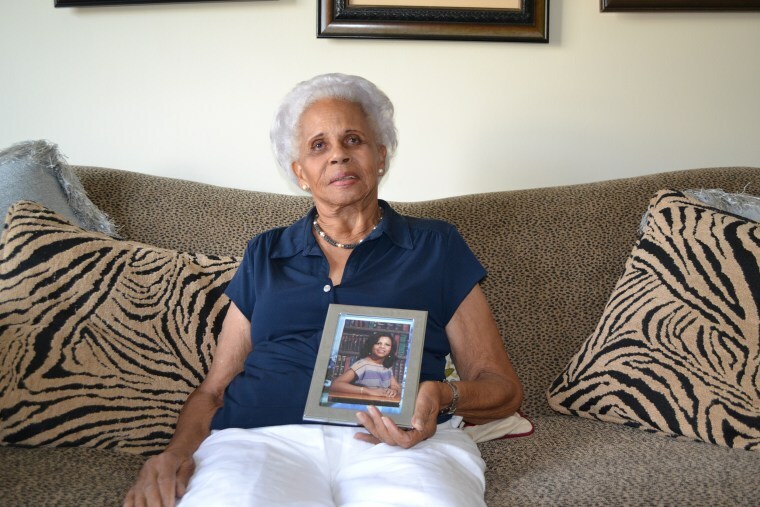 But the case of Alina López Miyares, 59, runs into Cuba's longstanding policy of considering anyone born in Cuba to be a Cuban national once they step foot on the island. Cuba is among a number of countries who don't recognize dual U.S. citizenship. The U.S. embassy in Cuba states in their website, "Cuban authorities may deny U.S. consular officers access to dual Cuban-American citizens." López Miyares’ 91-year-old mother, Alina — her daughter is named after her — has been traveling from Miami to Havana every month to see her daughter and take her food. The mother said López Miyares has lost 40 pounds and has high blood pressure and other health issues; she said that she takes her medication from the U.S. every month. López Miyares' mother said the worry over her daughter is taking a toll on her and her 97-year-old husband, who has heart problems. “They are killing my husband and me,” said López Miyares’ mother, who said that her daughter, whom she believes is innocent, should be allowed to see her U.S. attorney and U.S. officials. According to the family, López Miyares was born in Cuba and came to the U.S with her relatives in 1969 as a child, where she became a naturalized citizen. They settled in West New York, New Jersey. She worked as a teacher in public schools in New York and in the late 1990s moved to Miami. It was during a trip to New York in the early 2000s that she met her husband, according to her mother, who did not have specific details. Chris Simmons, who was chief of a Cuban counterintelligence unit for the Defense Intelligence Agency, told NBC News that Milanés Fajardo was actually a Cuban spy with the cover of third secretary at the mission from 1989 to 1993. His identity was eventually compromised by Cuban defectors, said Simmons, which was also reported in the Miami Herald. López Miyares’ mother said the couple got married in Cuba; none of her U.S. relatives attended. After they wed, López Miyares returned to Miami to live and continue working as a teacher. She would travel to Havana to visit Milanés Fajardo during the winter and summer breaks. According to López Miyares’ mother, her daughter last went to Cuba in January of 2017 at the behest of her husband. When she arrived at the airport in Havana, López Miyares was detained by authorities, her mother said. Her mother traveled to Havana for the trial but was not allowed inside the courtroom. She said she wore a sign over her chest saying “I love you, my daughter” so she could see it when she walked past her on her way to the courtroom. The Cuban government did not respond to a request for comment on the case. While U.S. and Cuba relations have deteriorated under the Trump administration after a historic thaw under former Pres. Barack Obama, William LeoGrande, a professor of government at American University, doesn't think that Lopez Miyares' case would "make the relationship any worse." Experts like LeoGrande, former chief of mission Huddleston, and former DIA officer Simmons, suggested if López Miyares is guilty, the U.S. government may try to get her out through a spy exchange. In 2016, during the Obama administration, NBC News reported that Cuba and the U.S. were discussing possible exchanges of prisoners. American officials said, at the time, they were interested in getting back Americans who sought refuge in Cuba from U.S. prosecution. The last spy exchange between the U.S. and Cuba took place in December 2014 as part of the normalization of relations between the two countries. U.S. contractor Alan Gross and Rolando Sarraff Trujillo, who Obama described as one of the most important intelligence agents the U.S. ever had on the island, were exchanged for three Cuban spies in the U.S.